Learn the ins and outs of how hospitals handle maternity care. From epidurals to delivery rooms to NICUs. ASK: I have a history of diabetes, can I give birth naturally? ASK: Is having a water birth at my local hospital possible? ASK: How do I choose the best hospital for my birth? ASK: What are the top 2 recommendation for giving me the best chance to have a natural childbirth in the hospital? ASK: Is it possible to have a Lotus birth at the hospital? ASK: When is Pitocin necessary in labor? ASK: How do I create a birth plan that a hospital is going to recognize and respect? 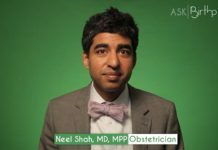 ASK: What questions should I be asking when choosing an obstetrician? ASK: What could my body experience while going through a labor induction? ASK: What are the advantages and disadvantages of Pitocin used in inductions? ASK: What is some essential info I need to know about inductions? ASK: What is a baby friendly hospital?